The teaching of systematic synthetic phonics in school has been a political focus since the publication of the Rose Review back in 2006 (Rose, 2006). It is a priority for both schools and providers of Initial Teacher Education, and over the last decade it has been given prominence in inspection frameworks. The Rose Review emphasised that the teaching of phonics is time-limited. The National Curriculum requires children to be secure in the skill of word recognition by the end of Year 1 so that they can focus on developing fluency in reading in Year 2. The aim is to ensure that children are secure in the skill of blending phonemes so that they can read words. In 2012, the UK government introduced a phonics screening check to assess children’s skills in decoding. Four years later, Nicky Morgan, then Secretary of State for Education, declared: ‘Since the introduction of the phonics reading check in 2012, 120,000 more children are now on track to become excellent readers’ (DfE, 2016, para 1.5, p.5). However, whilst most people would not dispute the need to assess children’s reading development, the phonics screening check is problematic on several levels. Firstly, the ‘check’ introduces children to both real words and pseudo words. There is a rationale for introducing children to pseudo words, because these are words which children have not seen before and therefore they can only be read through the blending the phonemes. However, as the process of reading is about eliciting meaning from text, the value of pseudo words can be questioned. Secondly, advanced readers do not rely on blending phonemes (decoding) for the skill of word recognition. Word recognition becomes increasingly automatic and the emphasis shifts from word recognition to developing fluency and reading for meaning. Phonics is a time-limited skill. For advanced readers, an assessment of their phonic knowledge in Year 1 is not an accurate predictor of their skill in reading but we do need to know more about how to support their comprehension skills. Whilst the phonics screening check may be a useful assessment for less skilled readers, we need various forms of assessment to support pupils working at different stages of development in reading. Thirdly, teachers will already know, through regular formative assessment, whether children are secure in the skill of blending. The screening check adds no further value because it does not inform teaching. For weaker readers, the skill of blending at the level of the phoneme is an advanced skill which comes after blending at the level of the whole word (tooth+ brush = toothbrush), blending at the level of the syllable and blending at the level of onset and rime (c-oat / r-ain). It is not sufficient to know whether children can decode or not: we need to know more about the stage of development at which they are operating. If children are struggling to blend phonemes, then it is important to know about their other phonemic skills such as phoneme addition, phoneme deletion and phoneme substitution. We need to know about the component skills of phonemic and phonological awareness and not just whether a child can blend sounds to read words. Fourthly, the process of reading is not solely an auditory process but also a visual process. Children may well have mastered the skill of blending sounds, but their reading development can be hampered by poor visual skills. For children to become good readers, the skills of visual attention, visual discrimination, visual memory and visual sequential memory need to be secure. For weaker readers, teachers need to know about children’s development in visual skills and phonological skills. It is insufficient to know that children cannot decode; we need to know about their development in other skills which contribute to reading development. Finally, reading is not just a process of word recognition. It is a process which requires linguistic comprehension. If, as a result of limited exposure to spoken language, children do not have a good vocabulary, or if their vocabulary lacks depth, this will impede their reading development. This is particularly the case for those who have advanced beyond the skill of blending phonemes. For this reason, play-based learning is critical in the early years so that children develop their vocabulary through interaction with peers and adults. Within language development, there is a hierarchy of skills whose development which should be assessed, particularly in weaker readers. The key issue is the way in which the phonics screening check is used to regulate schools and teachers. It has become part of the machinery of performativity which is used to assess school and teacher performance. It is ‘high-stakes’ and results in children’s being categorised into achievers or failures at a very early stage of their development. The fact that children are subjected to re-taking the test in Year 2 if they do not pass serves to further marginalise them through the process of segregation. Reading development is complex, but the phonics screening check reduces the complex nature of reading development to a single skill. The check does not provide teachers with additional information that they have not already gleaned from their formative assessments. Neither does it inform teachers about what they need to do next to support children’s development in reading. It is a mechanism of surveillance which serves very little educational purpose. Despite decades of research showing its positive effects, systematic synthetic phonics had been disregarded by many schools, local authorities, and university education faculties. Growing support within the teaching profession led to a number of new synthetic phonics reading schemes. In 2012, we introduced the phonics reading check at the end of Year 1 and three years on, the proportion of 6-year-olds achieving the expected standard in the check has risen by 19 percentage points to 77%, equivalent to 120,000 more children on track to become excellent readers. It is interesting to note that the Coalition government in 2010 discarded all aspects of Labour’s education policies with one exception: synthetic phonics. This policy has been continued by the Conservatives when they re-gained power in 2015. While phonics is an important tool is the teacher’s toolkit, we need a range of methods to assess reading development. This should include the assessment of auditory and visual skills as well as children’s awareness of rhyme. The assessment battery should reflect the sequential development of skills which contribute to phonemic and phonological awareness and visual skills development. Unless we base assessment on a developmental approach to learning, teachers will not be able to diagnose children’s reading difficulties. DfE (2016) Educational Excellence Everywhere: Assessment of Impact. London: DfE. Rose, J. (2006) Independent Review of the Teaching of Early Reading. Nottingham, DfES Publications. Are all thy conquests, glories, spoils, Shrunk to this little measure? What is assessment and how can we, as educators, ensure assessment of learning, and perhaps more particularly assessment for learning? During the last thirty years, in many English-speaking countries, change has been endemic in the teaching and assessment of English. Some developments have been based on research related to key issues such as linguistic deprivation (Bernstein 1971), teaching language (Kingman 1988) or early reading (Rose 2006). Others, such as the recent curtailment (in the UK and elsewhere) of coursework, seem motivated more by political partisanship. The effects of such changes in assessment and public examining practice are documented in several papers in this issue, most explicitly in Bethan Marshall’s The Politics of Testing. Debates around assessment in English have included the nature of assessment and what it measures, as well as debates around validity and reliability, ‘subjective’ or impression marking, and notions of a more ‘objective’ professional judgment. Accountability has also been prominent, especially for stakeholders, since public examining, particularly in the later stages of schooling, represents ‘high stakes’ assessment. Yet where does that leave learning? How can we best judge whether learning has taken place and if credit is due? Do we need base-line assessment to determine whether learning has occurred or value has been added? How is familiarity with testing regimes likely to affect the way in which we teach and what learners learn? This special edition takes on some of these debates and examines them in a contemporary context. The distinction between assessment of learning (summative) and assessment for learning (formative) has been well rehearsed, but the more recent assessment as learning focuses where we might locate more recent, 21st century development. This implies the need for pupils to be active in both learning and assessment. Some of these ideas will not be new to English teachers, for whom the pragmatics of a creative and critical classroom have often demanded the involvement of the student in the process of pedagogy. Each of the articles in this special edition challenges ideas of assessment and learning, presenting alternative perspectives on how one might accommodate both, from primary schooling through to post-sixteen senior secondary studies. 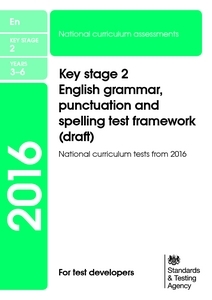 Nerida Spina’s article, Governing by numbers, offers a detailed analysis of the impact of the Australian national testing programme, NAPLAN, undertaken at grades 3, 5, 7 and 9, which assesses literacy in terms of spelling, grammar, punctuation, reading and writing. Spina’s institutional ethnographic study indicates how this emphasis on examining with its concomitant pressure on schools has undermined both the curriculum and opportunities for classroom creativity. Bethan Marshall’s account of The Politics of Testing picks up this argument, initially by looking back fondly to a time in the UK when teachers and educators could comment on the examining system ‘and the exam boards listened’. Her article then goes on to address in turn the phonics screening test, key stage 2 literacy and GCSE English, and the effect of ‘politics, even party politics’ on assessment processes. Tony Hall and Eilis Flanagan’s article on Digital Ensemble presents an innovative approach to English assessment through the integration of drama pedagogy and mobile computing with senior students. Those of us outside the Republic of Ireland are left to speculate, given its value and significance, what scope, if any, there might be for us to do something equally creative in assessment and learning. Jonathan Glazzard gives us an account of synthetic phonics and the impact of the phonics screening test in relation to models and theories of reading development in UK primary schools. Glazzard’s account questions the compartmentalisation of reading skills, and he argues for a developmental framework which recognises the phases and stages in sequential reading skills development. Victoria Elliott’s paper What does a good one look like? takes us behind closed doors to observe two examiner training meetings. The training deemed to take place through these meetings is evaluated through the interaction and notions of compliance with the mark scheme, standardisation, representativeness, and cognition. Examining, the article reveals, is a process fraught with challenges and contradictions as well as with significance. 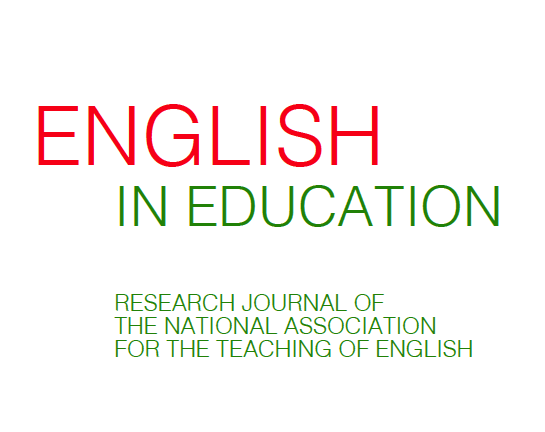 John Hodgson’s article with Bill Greenwell, The work of the course: validity and reliability in assessing English Literature, describes an ‘alternative’ UK English literature syllabus from the 20th century where informed response to literature was encouraged. Students genuinely did their coursework throughout the course, and teachers, who were familiar with their students’ work, were cradled within the developmental context of a consensual and supportive moderation process. The book reviews in this special edition focus not so much on assessment as on learning, yet in doing so they offer thoughtful comments on where we place value and significance. Marcello Giovanelli discusses The Discourse of Reading Groups: Integrating Cognitive and Sociocultural Perspectives (2016) by David Peplow, Joan Swann, Paola Trimarco and Sara Whiteley. Andrew Burn looks at James Gee’s Literacy and Education (2015), a book by an author familiar with the field and one which provides lively examples as well as revisiting his ‘Big D’ notion of discourses. .
Jo Carrington’s poem Remember me reminds us of the implications of and the responsibility that comes with teaching and learning within a curriculum that at times might appear neither to permit flexibility in its assessment nor fully to acknowledge individual needs. Hopefully, the articles in this special edition will remind us that knowledge and understanding of process and of practice as well as creativity and professionalism are fundamental to ensuring that our pupils and students, whoever they are, are given a fair chance to succeed through the learning and assessment they experience. This special issue is now available online and print subscribers will receive their copy shortly. 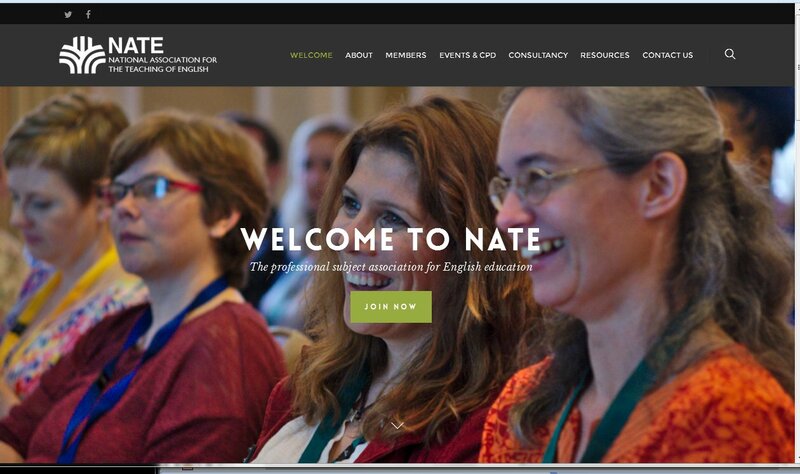 If you are a NATE member and cannot access the online publication, please email membership@nate.org.uk with your name and membership number to receive a unique code.